Buying a home is one of the biggest life decisions you will make, so you want to make sure you get it right. If you tick most of the boxes below, then make an offer before someone else does! 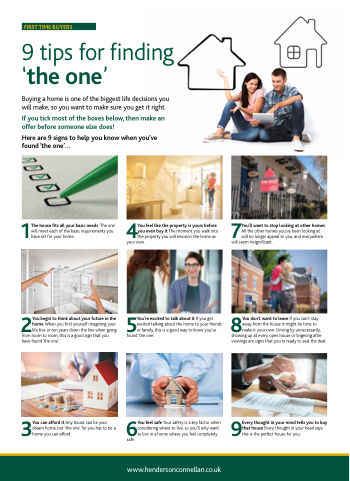 1The house fits all your basic needs ‘The one’ will meet each of the basic requirements you have set for your home. from room to room, this is a good sign that you have found ‘the one’. 3You can afford it Any house can be your dream home, but ‘the one’ for you has to be a home you can afford. showing up at every open house or lingering after viewings are signs that you’re ready to seal the deal. 9Every thought in your mind tells you to buy that house Every thought in your head says this is the perfect house for you.